Jon DeLuca, 46, a town resident, passed away on July 14, 2018 in Darien. Jon Deluca, 46, passed away on Saturday, July 14. A celebration of his life will be held on Sunday, July 22. Jon was the eldest son of Al and Mary Ann DeLuca. He graduated in 1992 from Trinity College with a B.A. in economics and mathematics. Jon was a managing director and operating partner at Digital Bridge Holdings, LLC. 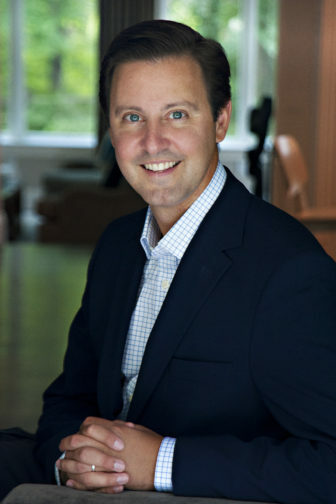 Prior to that, Jon served as president & CEO of Wilcon Holdings, LLC from 2011, when he founded the business with Pamlico Capital, until its sale to Crown Castle International Corp. in 2017. He also worked for FiberNet Telecom Group based in New York from 1999-2009 and in investment banking at Bear, Stearns & Co, Inc. and Lazard Freres & Co. LLC. While an excellent leader, mentor and friend, Jon was best at being a father to Julia and Alex. He was completely devoted to his children, spending all his non-working hours with them and he was incredibly proud of them. He followed the philosophy: a time to work and a time to play, and play was always with his kids. Jon loved to travel — whether to tennis or soccer tournaments, LA for work or on wonderful family vacations. A Celebration of Jon’s Life will be held from 11:30 a.m. to 1:30 p.m. at the Country Club of Darien, 300 Mansfield Ave., on Sunday, July 22, 2018.